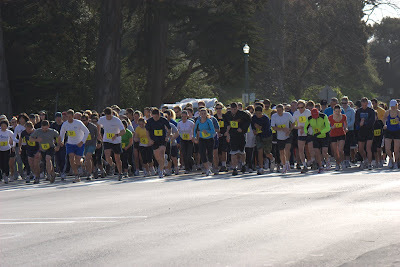 Sunday, March 30, BeatSarcoma held its first 5K Fun Run and Walk at San Francisco's Golden Gate Park. Thank you so much to everyone who have contributed to making this event a huge success. We were so moved by so much energy and generosity. There were nurses running for their patients, patients' friends, family members; members of our Founder's medical team came to volunteers; the volunteers from the Lowell High School did a fantastic job with registration, refreshments and T-shirt distribution.